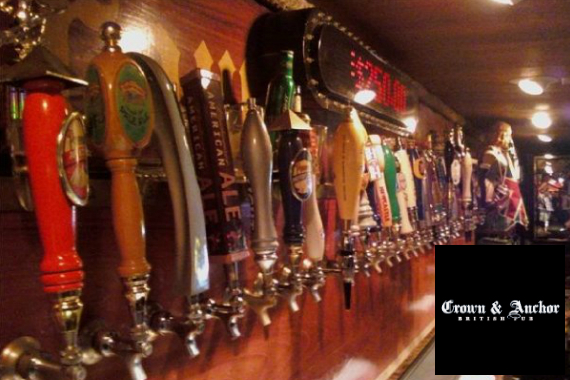 Crown & Anchor is a 24/7 British pub that offers traditional tavern grub and a great selection of beers. Come have a drink with us. "Enjoy the little things -- we'll worry about handling the rest." "Rum-ember your last visit? http://bit.ly/2GSeInC"
"Keep your friends close and your drinks closer." "Good things come in small glasses." Enjoyed the all you can eat fish night as well as the atmosphere. Yes, I'd like to receive news from Crown & Anchor Pub. Sign up for the Crown & Anchor Pub Newsletter!